I halved the quantities in the original recipe (to the quantities listed below) and that made 12 falafel. 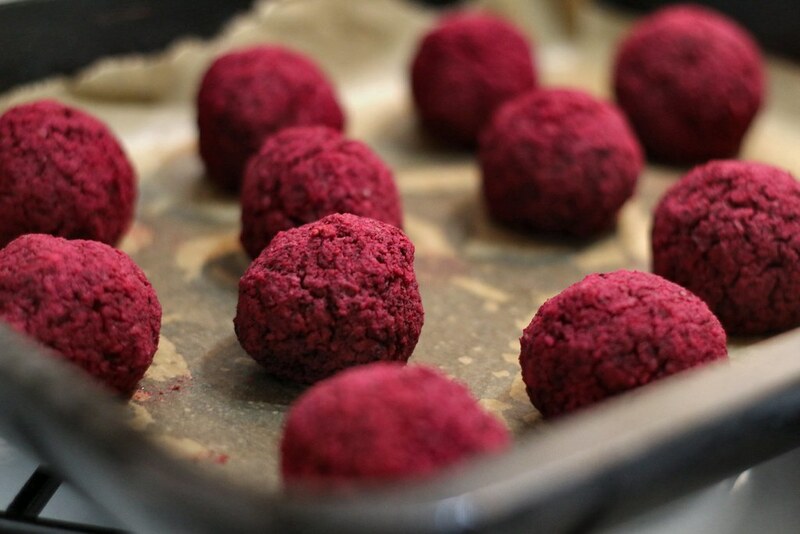 I didn't change anything from the original method, so head over to http://www.bbcgoodfood.com/recipes/2530641/beetroot-falafel for the how to. We served our falafel in pitta pockets with lettuce, cucumber, tomato, mayonnaise and tahini.